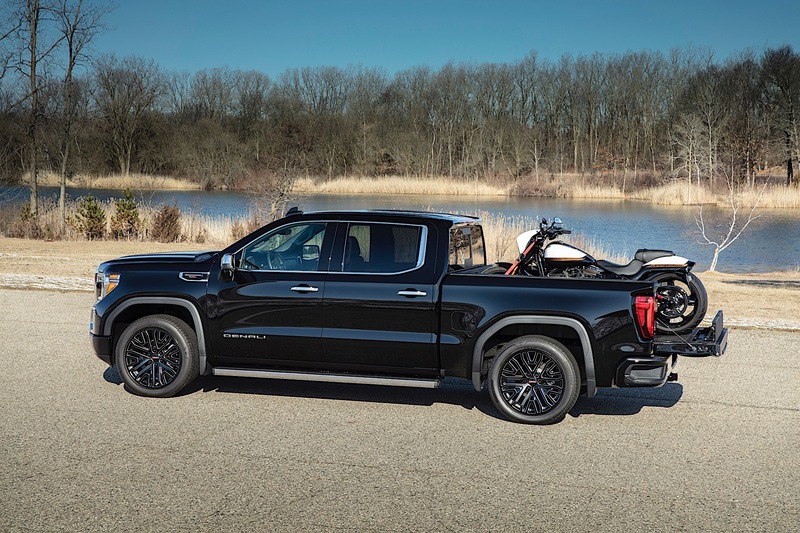 When GMC announced the updated 2019 Sierra and Sierra Denali pickup trucks, it showed the world that it was going to do something no other automaker has done before—make a truck bed out of carbon fiber. Called CarbonPro, the technology is nearing production, and we have some video of what abuses the bed can put up with. 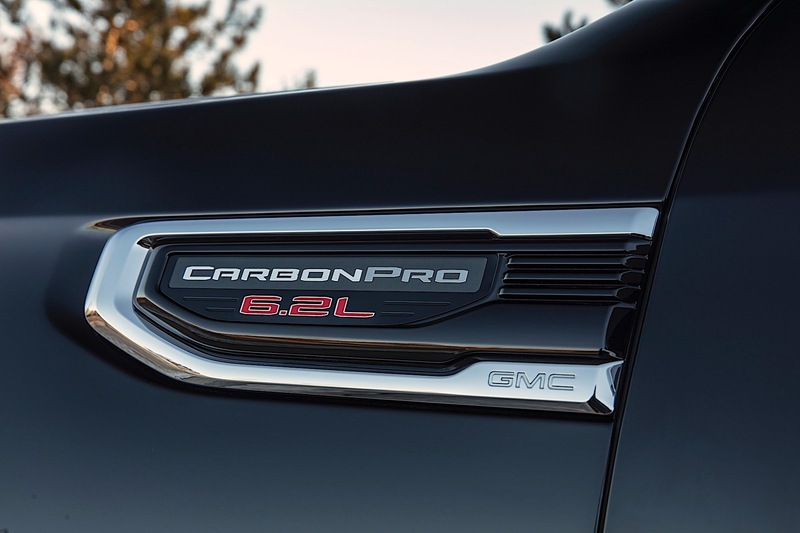 GMC claims that owners will not need a bedliner with CarbonPro. This video shows them dropping various pointy and heavy items into the bed, similar to the way Chevrolet did a "Real People" commercial a few years back, and the results are fairly impressive. In several cases, the item dropped suffers damaged but the bed does not. After they're done testing, they sweep out the bed with a broom and it looks as good as new. Some of the ways GMC tested the bed involved the drops you saw in the video, but it also tests corrosion and the effects of extreme temperatures. The company even performed a snowmobile test, where a sled with metal studs on the track was loaded into the bed and accelerated at full throttle. The sled also had a 250 pound rider on board. There was only minimal scratching evident after the test. 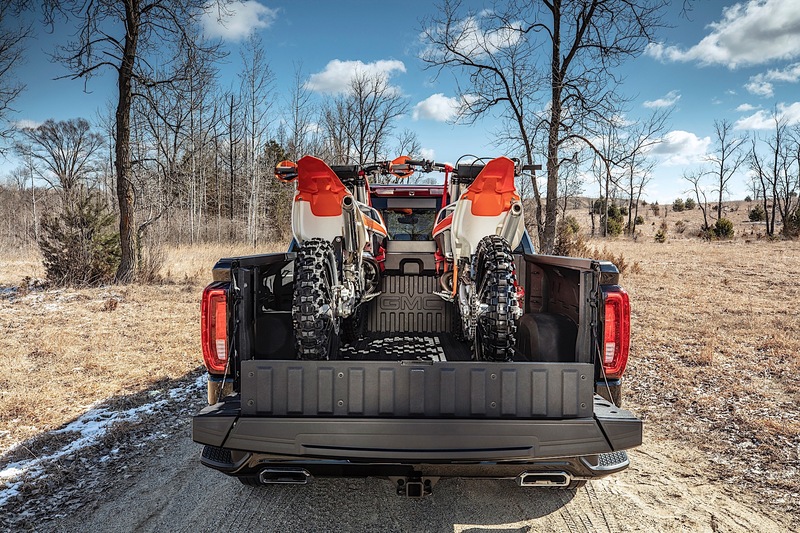 The CarbonPro bed will surely be a differentiator in the full-size truck class, where the competition is fierce. 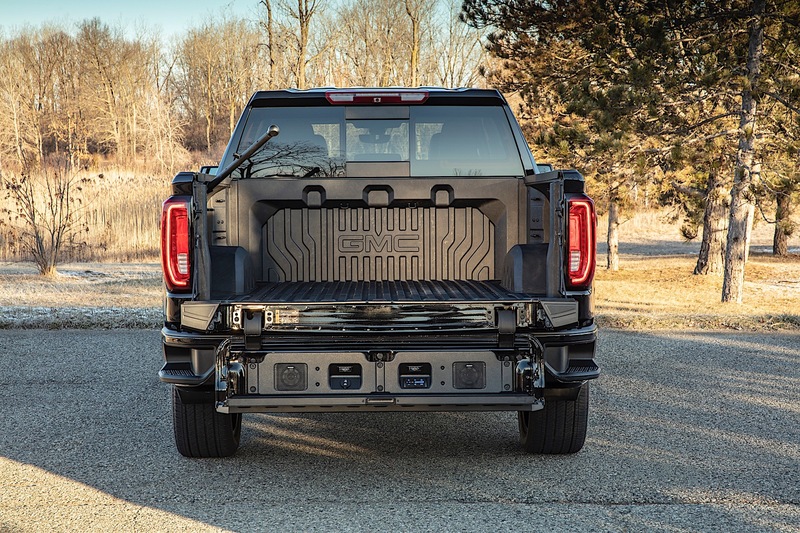 While the average customer probably has no issues with getting a bedliner, the carbon fiber bed is a different option for those who want to stand out while having something even more durable and functional than the standard bed. Also, the bed is at least 59 pounds lighter than a steel bed, and there is no need for wheelhouse liners in the rear because the carbon can handle the abuse. The CarbonPro bed also has some unique features built into it, making it easier to haul cargo. 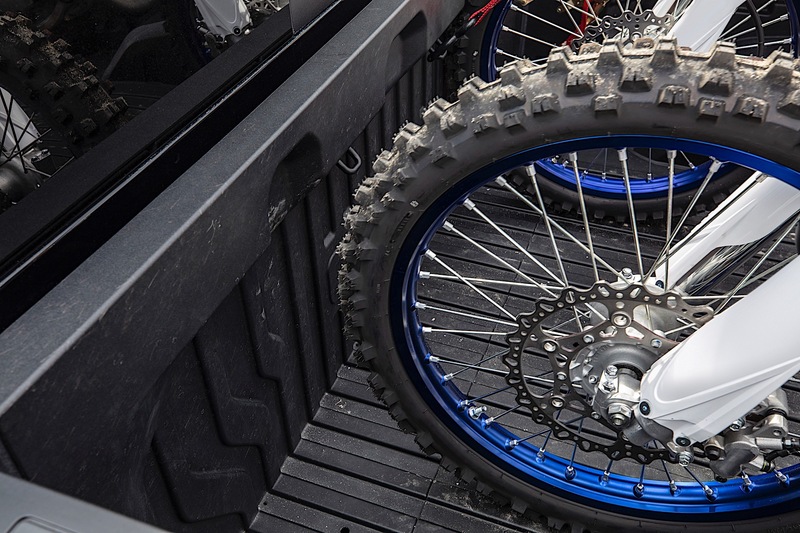 Tie-downs are available for all of your strapping needs, and the front of the bed is even molded in such a way to accommodate the front wheel of a dirt bike or motorcycle. 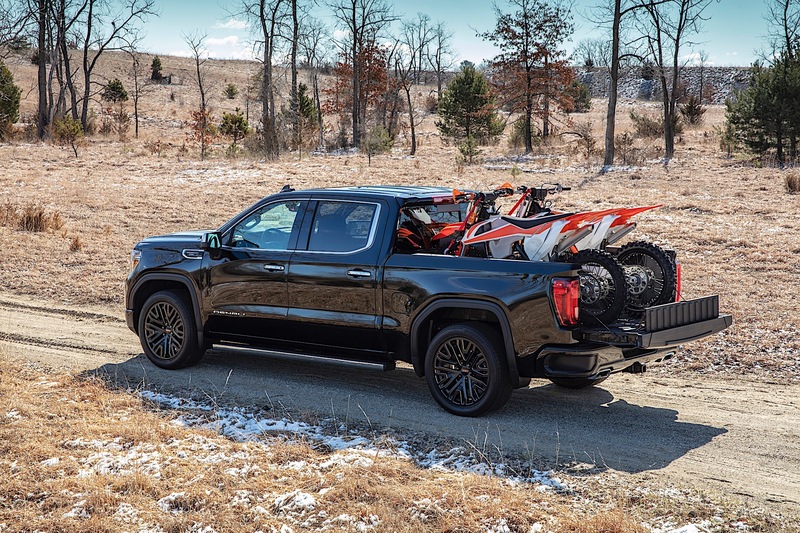 The Sierra CarbonPro Edition will be at select dealerships for the 2019 model year in early June, but the company expects to have them in larger numbers for 2020. Pricing is not yet available. The fancy GMC pickup has what it takes to score, on paper. But when it comes to luxury-truck value, other carmakers have already moved the goal posts. The off-road-ready GMC Sierra AT4 would be this dad's perfect pickup truck...if he could have had it 20 years earlier.